Heralded by a 15-page presentation program booklet with three taut essays by Joseph Auner (historical), Thomas Peattie (stylistic-cultural), and myself (analytical), the occasion felt quite gala. Those accustomed to the familiar Mahler’s First of 1897 for larger orchestra (woodwinds by fours, seven horns, four trumpets, etc.) find no notable surprises in the 1893 version, except for presence of the second movement, entitled “Blumine,” that Mahler later discarded. It represents the penultimate compositional stage of the work that the composer had begun as early as 1885 and revised extensively even before the public premiere in 1888 in Budapest; Mahler continued to change details nevertheless even after 1897, possibly every time he conducted the work; yet in every essential this 1893 version is mature and complete, fully revelatory of Mahler’s amazing mastery, and differs from the familiar version only in subtle details. 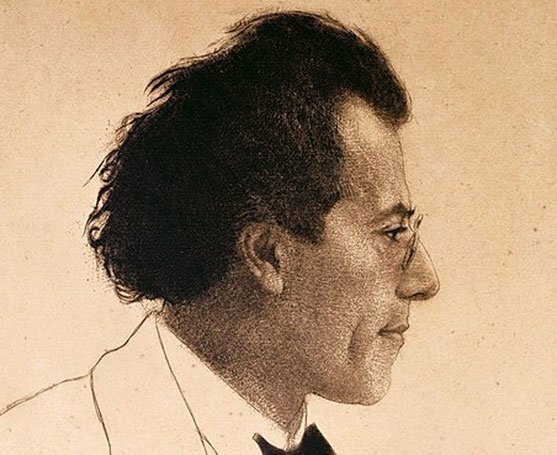 But one notices in every performance of this work, and surely of any work of his, that Mahler’s meticulous and transparent orchestration demands the highest degree of precision and concentration from every player and especially from the soli. This is what I found so satisfying from the Tufts performance: the total absorption of the instrumentalists in the task of making music individually and together. It didn’t bother me that there were some missed notes here and there; especially in the horn and trumpet parts, Mahler calls for high notes at a pp dynamic that are treacherous if not impossible to produce, and these players are students, not professional instrumentalists — many of them probably aren’t even music majors. Another factor that has contributed so effectively to the confident growth of this group is the concert hall itself. When I arrived to teach at Tufts in 1981, the orchestra played in Cohen Auditorium, a shabbily maintained hall with miserably inadequate stage space; built in 1954 with utmost parsimony, Cohen was nevertheless not bad acoustically. (It was the largest performing space at Tufts for many years, except for the Cousens Gymnasium, where Sarah Caldwell occasionally produced operas.) In 1988, the auditorium received a thorough rebuild; ruined for musical purposes by the ministrations of Bolt, Beranek & Newman, it has gone further downhill since. But in 2007 the Granoff Music Center was dedicated with an orchestral concert in its new Distler Auditorium, with 300 seats, half as many as Cohen, and with bright acoustics and a snappy resonance. Students love to play here, and that love radiated last night before an overflow audience. The concert began with an unusual procession by Tufts’s own klezmer band, The Jumbo Knish Factory, directed by Michael McLaughlin. The players (4 violins, viola, flute, 2 clarinets, SAT saxes, 2 accordions, baritone horn, tuba, tambourine) wore stylized animal costumes, honoring the manner of Moritz von Schwind’s “Hunter’s Funeral” (a reproduction of this famous print was included on the cover of the program) and played a klezzed version of the Trauermarsch in Mahler’s First Symphony. Then the program proper began with the Tufts Chamber Orchestra (flute, clarinet, piano, strings 5-6-4-3-1) accompanying a reduced scoring of nos. 2 and 4 of Mahler’s Lieder eines fahrenden Gesellen, the early songs from which Mahler drew substantially for the first and fourth movements of the symphony. Kathleen Flynn, of the Tufts applied faculty, sang these with a light, even delicate but very clear sound and good diction. The first performance of the 1893 Mahler First took place in Hamburg, and like the 1889 premiere it met hostility from the bewildered audience. The second performance anywhere after 1893 was in 1967, by the New Haven Symphony, and the one that I heard that year was apparently the third. Mahler’s autograph full score still resides at the Beinecke Library at Yale. John Page conducted from a photocopy thereof marked up by unknown hands. It certainly deserves to be engraved and published in a modern edition, so that other orchestras can more readily access it; colleges and community orchestras would find it much more practical than the final published version, and every bit as much of a challenge. Some years ago, a major publisher approached me about preparing a new edition of Debussy’s La mer. I politely declined, but volunteered to edit this Mahler symphony instead; I’m still waiting to hear back. I had the Columbia Odyssey LP recording by the New Haven Symphony. It was advertised as the “first complete recording” and had some mighty fine playing. That Columbia Odyssey recording by the New Haven Symphony, conducted as I recall by Frank Brieff, was certainly a good one. But except for the addition of the “Blumine” second movement, it was the 1897 version for large orchestra. The first complete recording of the 1893 version I heard was conducted by Wyn Morris and I think it’s still available. But Morris changes details in the score to correspond with the later version, so it can’t be considered an authentic standard. There is a new recording which I haven’t heard yet, by a Dutch orchestra.